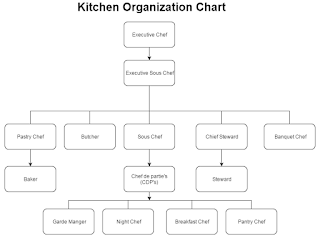 The organisation chart of F&B Production department should provide a clear picture of the lines of authority and the channels of communication within the department. In a large hotel the department is headed by the Executive Chef who is assisted by the Executive Sous Chef. 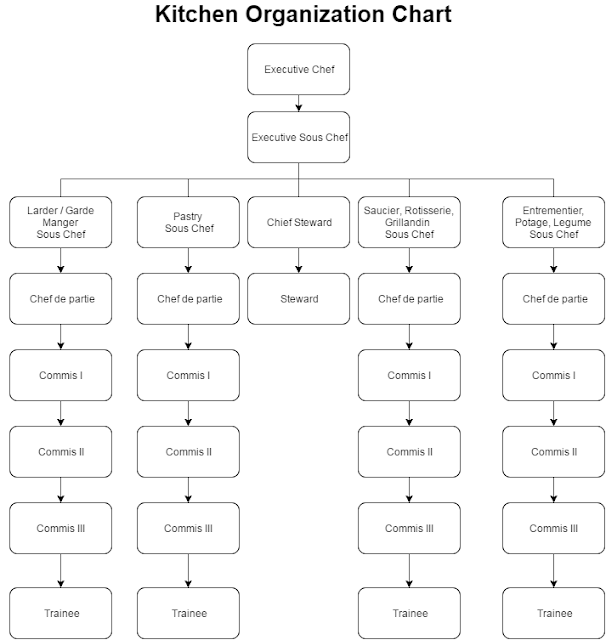 Kitchen / F&B production department chart not only provides for a systematic direction of orders, but also protects employees form being over directed. The chart shows that each employee should take orders only from the person directly above him / her. 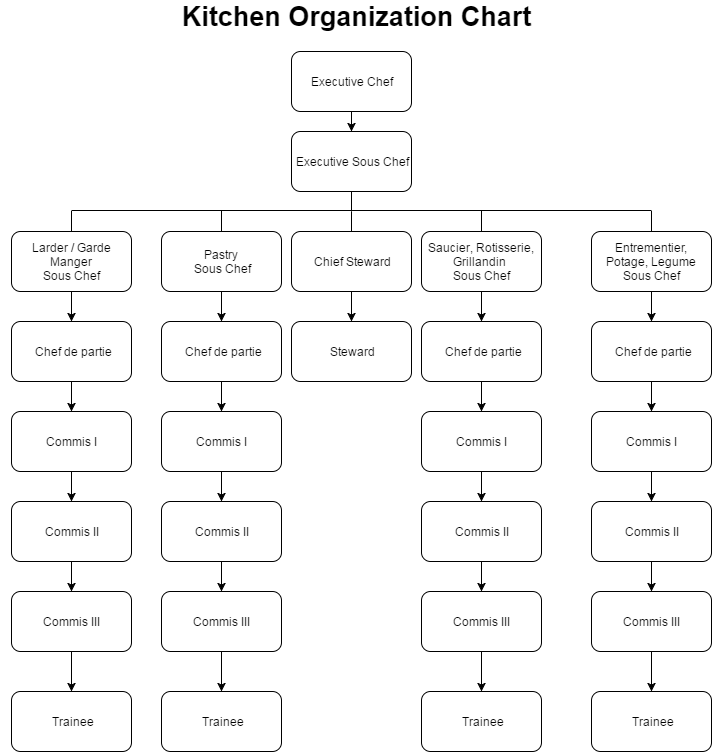 A copy of the chart should be posted in an area so that all kitchen staff can see where they fit into the overall organisation of the department. 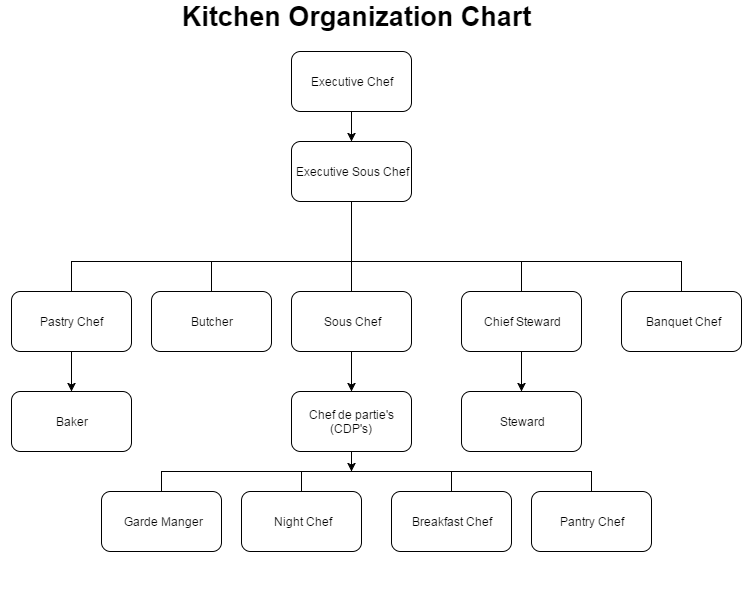 Ideally the organization chart need to be placed on the kitchen notice board.